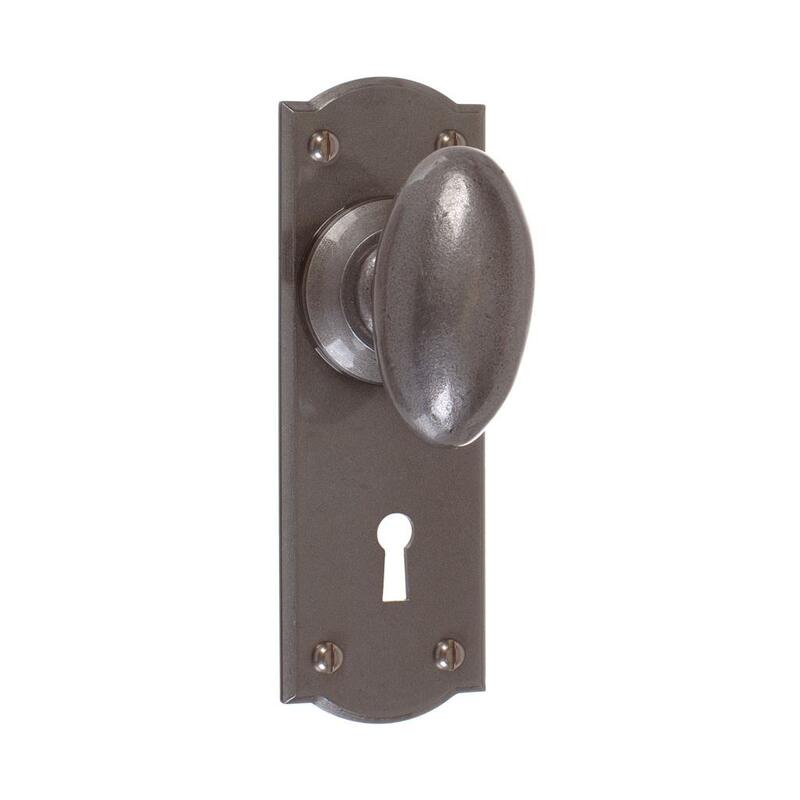 High quality, elegantly oval door handles. 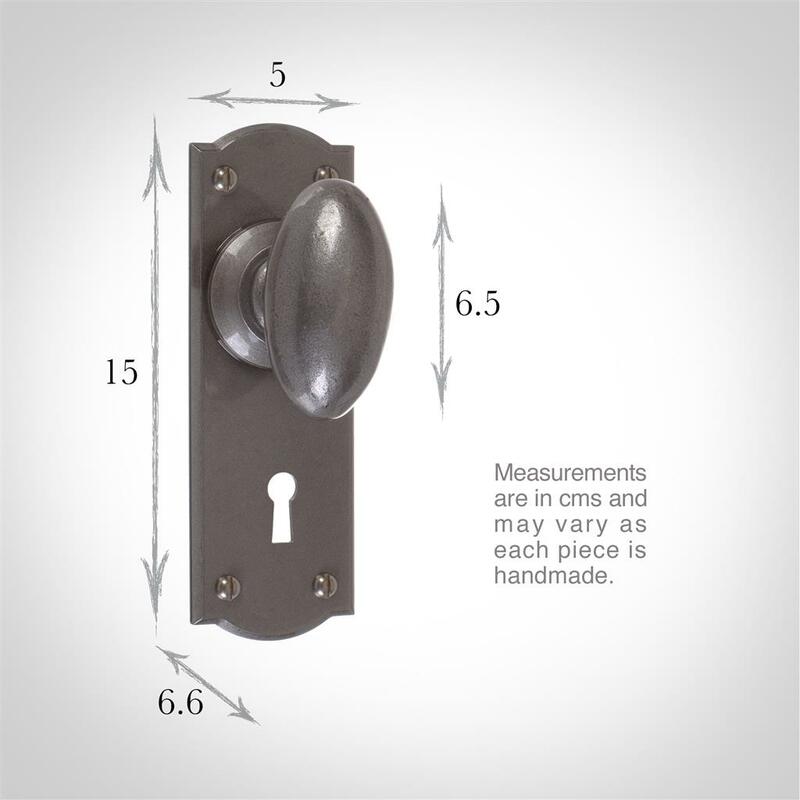 These handles are supplied in pairs with backplates, fixing screws and a spindle that can be cut down to the depth of your door. 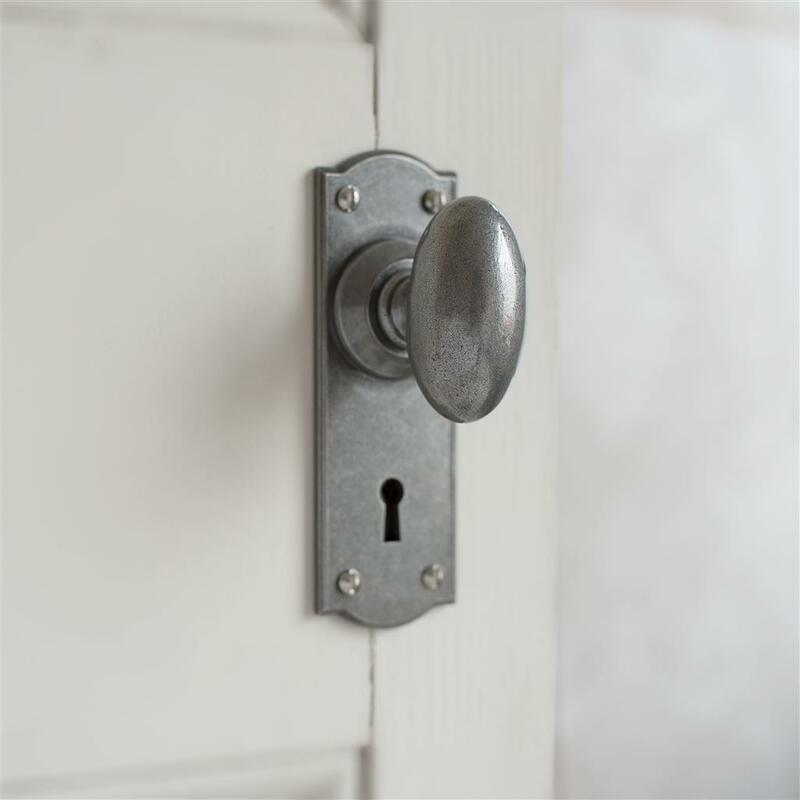 Our Downley handles are handmade in solid brass or steel and available in a choice of authentic finishes. The feel of these door knobs is of luxury and quality and they are sprung on one side. 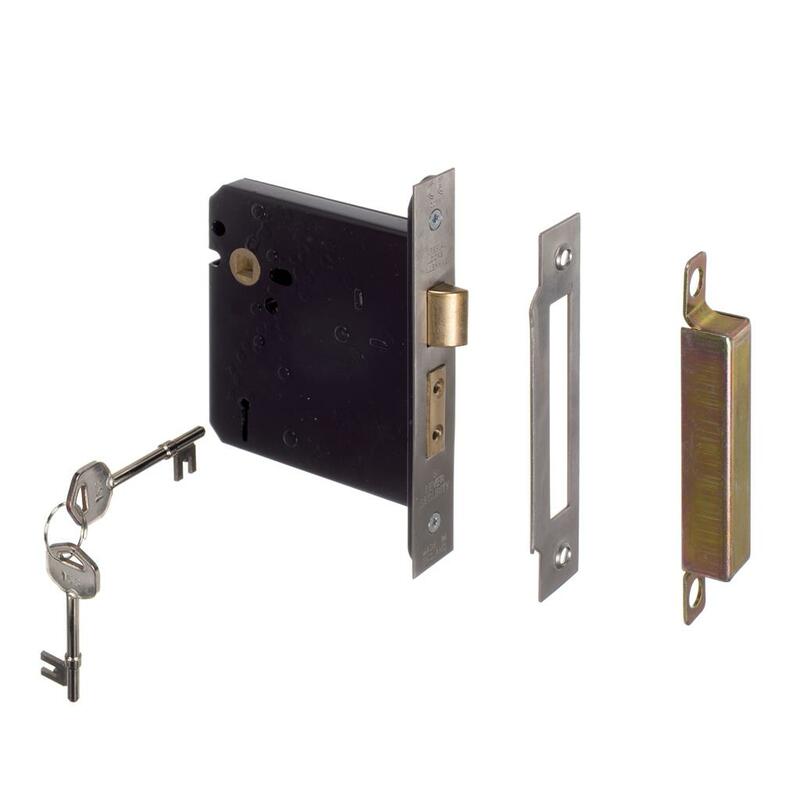 This Nowton backplate with keyhole adds just the right amount of detail to your door with a bow-shaped top and bottom, finished off with a bevelled edge.